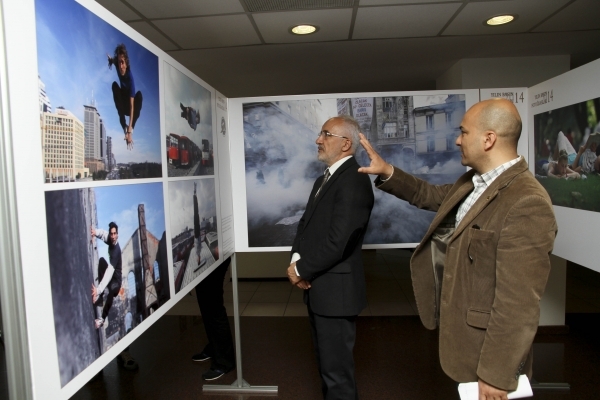 Turkish Photo Journalists Association’s best pictures of the year (2014) are being exhibited for the first time at Izmir Economics. The exhibition will stay open at IUE Foyer through April 15 – 20. 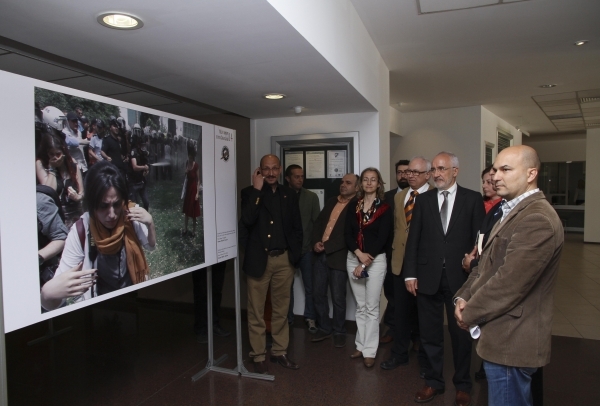 The exhibition of 70 pictures (22 pictures and 4 series) of last year’s events that left a mark in our lives including Osman Örsal’s, Reuter’s photo journalist who was awarded the Best Media Picture of the Year, “Kırmızılı Kadın (Lady in Red)” frame, was presented to the audience. Prof. Dr. Oğuz Esen, IUE Rector, Asst. Prof. Dr. Gökçen Karanfil, Head of Department of Media and Communication, Kadir Kemaloğlu, Aegean Region Representative of Turkish Photo Journalists Association, Halil Hüner, Head of Izmir Branch of Turkish Journalists Trade Union, Kenan Çimen, Member of the Executive Board of Izmir Journalists Association, Sedat Yılmaz, Member of the Executive Board of Izmir Branch of Turkish Sports Journalists Association, Journalist Yusuf Çınar, academicians and students have attended the opening of the exhibition. Asst. 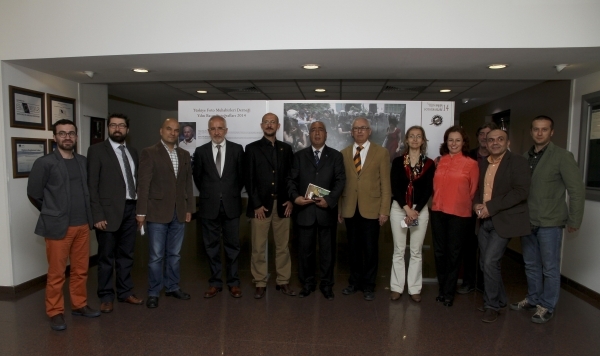 Prof. Dr. Gökçen Karanfil, on the other hand said that the first stop of the exhibition was Izmir and the exhibition would stay open through April 15 – 20. Asst. 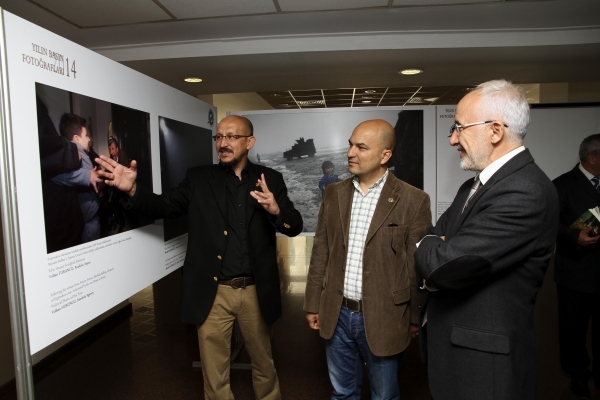 Prof. Dr. Karanfil pointed out that the exhibition attracted great attention of the academicians and students from the very moment it was set up. Kemaloğlu stated that total of 4 thousand 381 frames in a category of news, independent, sports, environment, politics, photo interview, and Turkey on its way to EU, attended the contest. He also said that the exhibition would be displayed at Beykent University, Istanbul on April 29 within an event called, “Social Memory and Media”.